Now in Basel Switzerland at Druckverk at the Warteck. Fourteen international printmakers are working night and day to get work done for the exhibition that opens on friday 31st July at 7pm. The theme was decided last wednesday during our first day of thinking and planning in a group! 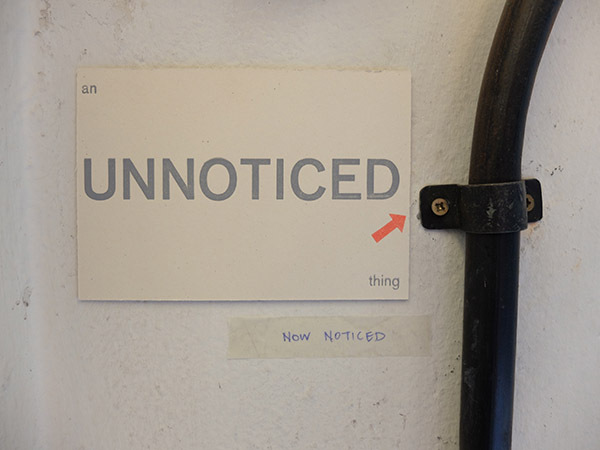 Things unnoticed. 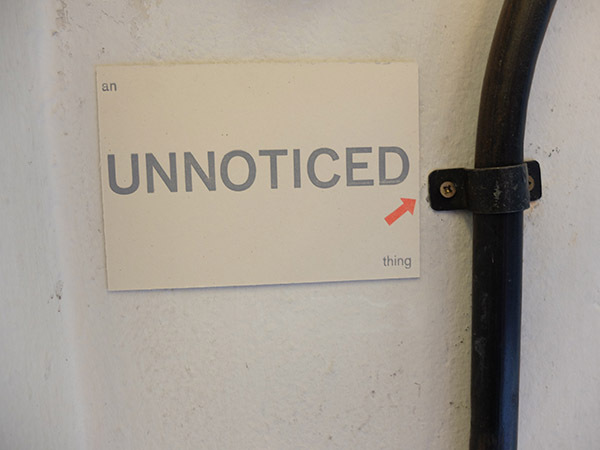 Have taken the theme quite literally and letterpress printed a set of postcards 'an unnoticed thing'. This have been placed round the studio and will be placed along the bank of the Rhine on Friday after swimming the length that is permissable. The Rhine has been a source of inspiration and also cool down in sweltering temperatures. Each day a float down the Rhine from the top bridge to some point lower down. It is strange to float in a northerly direction. New book relating to the river swims inspired by flea market finds is coming off the letterpress so will be spending a lot of the rest of the time cutting and folding! Look in the residency page for more info.